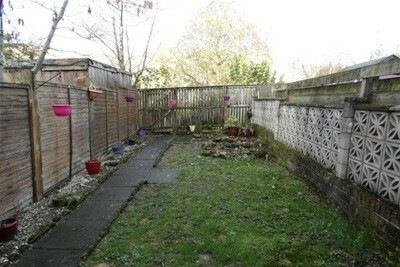 Beautiful terraced home available for immediate enter. Call now to secure a viewing. The commuter village of Lennoxtown lies on the leeward side of the Campsie Fells and is readily accessible to the neighbouring towns of Kirkintilloch and Bishopbriggs, It is well placed for commuting to Glasgow and to the other commercial centres of central Scotland. The village offers a variety of shops, post office, local churches, restaurants, bars and town hall. Lennoxtown is renowned as the gateway to the Campsie Fells and provides an ideal environment for outdoor enthusiasts with pleasant walks in the surrounding countryside and on the Campsies. Lennoxtown has a local golf club, the 18 hole Campsie Golf Course, and is within 4 miles of Hayston and Kirkintilloch Golf Courses. Local fitness clubs and a variety of recreational facilities cater for most sporting pursuits. 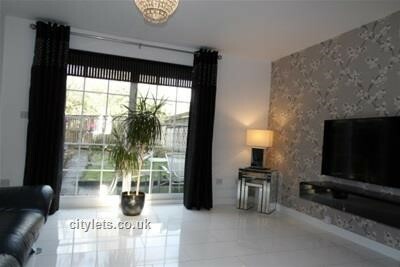 This stunning home is the perfect starter house for a professional single or couple. 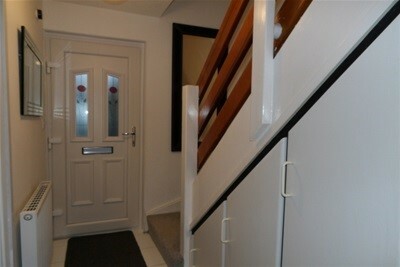 Set in a terrace park your car in your driveway and enter into this immaculate and well presented abode. Straight through you have your lounge which is bright and airy with French doors out onto the garden with nice views and privacy. The lounge is beautifully decorated with neutral tones and the flooring is tiled flowing into the hallway which has plenty storage in cupboards under the stairs. 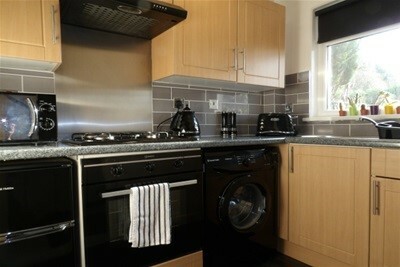 The kitchen is everything you need, ample units, gas cooker, electric oven and under counter fridge freezer. 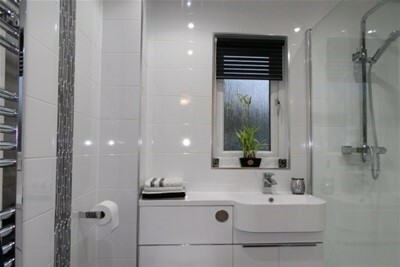 Up stairs you have your newly fitted bathroom which has a white wc, basin and modern shower cubicle, mains powered shower and a chrome towel radiator. Floor to ceiling tiles keeps it bright and easy to maintain. 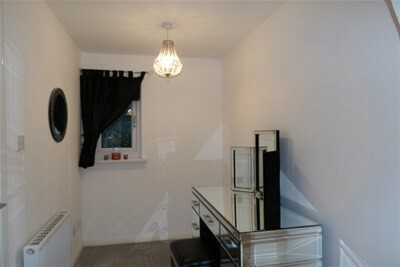 The elegant bedroom has been renovated to have a walk in dressing room which has been cleverly extended. 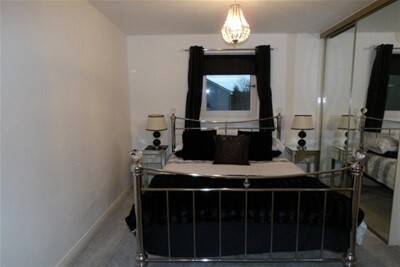 Furnished with double mirrored wardrobes, tv bracket and chrome bedframe with mattress. Love and attention has been taken to create this lovely living space and it shows. 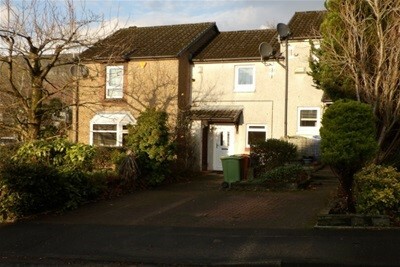 Further benefits from gas central heating, double glazing and is offered furnished. 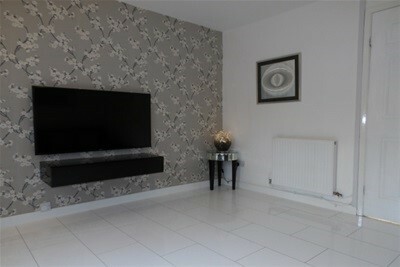 Call now to book your viewing and be in for Christmas!